This book was an amazing idea but really failed on execution. 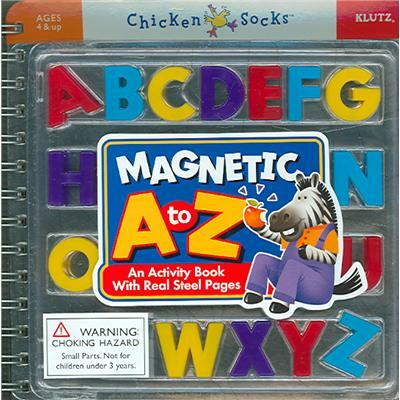 The idea was to have a magnet board in your lap, with fun, games and activities all built in and built around learning the alphabet. The problem is, the metal plates bend too easily and the pages do not turn well on the spiral binding. Just does not hold up to use and wear. Six months ago I took over as team lead and systems administrator for a number of Oracle Products, primarily Hyperion, OBIEE and ODI. It is a big change and the 4 Oracle University courses I have taken have all been of some benefit. 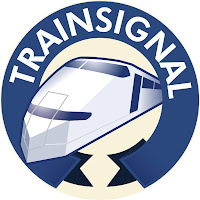 But this course was the best so far, in part, due to the instructor Mr. Frank Laffey; he had the best class room control I have seen for a virtual classroom course in over 20 years in university, 2 years in college and numerous courses between CBT Nuggets, Train Signal and other vendor training. Frank is one of the best presenters I have yet to encounter and to be honest, I hope to take more courses with him in the future. I am a systems administrator, not a developer. But with all the Hyperion products I have encountered and supported to date, it helps to have one foot on each side of the isle. This course helps to bridge that gap. It was a great mix of instruction and hands-on labs, building out a complete environment and testing along the whole process. This course gave me a number of ideas and tips for troubleshooting and improving performance in our environments at work. It is a great course and I recommend it to anyone who supports or uses these products to gather a better understanding of the environment and interactions. It is an excellent course. Caroline Jayne Church's books have been family favorites with all of our children. 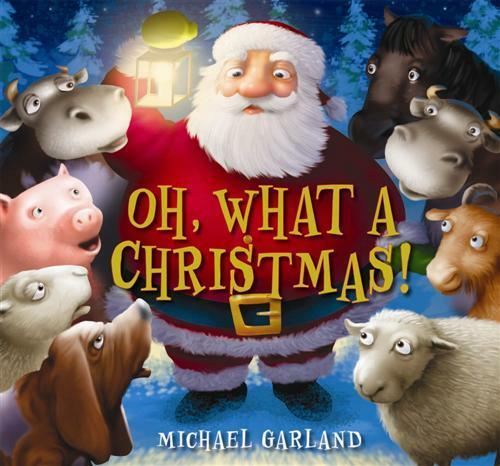 This latest book is amazing for the youngest members of your families and friends. 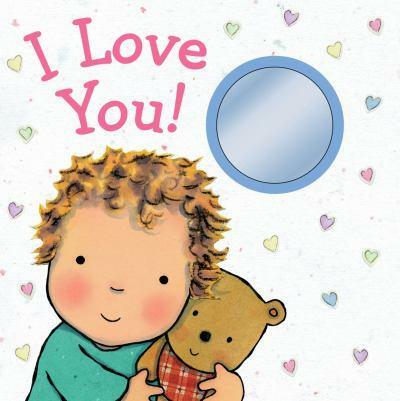 This cloth book with a mirror on the front will fascinate children for hours. They will ask to have it read over and over and over, and look at themselves in the cover and laugh and play with it. 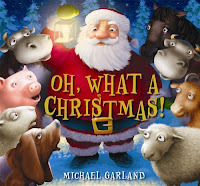 It is an amazing new book by an incredible children's author and illustrator. They have even done an awesome job of keeping the bright vibrant colors in the cloth book. Well done, and fun for the whole family. 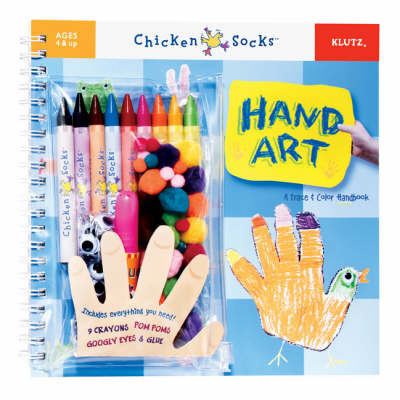 It begins with 19 wonderful and wacky art projects for children that begin by tracing your hand or hands. But that is just the beginning. This book will serve as a primer for children's imaginations. Many of the ideas took me by surprise but got me thinking in a lot of different directions. You will make dogs and dragons and more. This will be the beginning of hours and hours of fun. It is funny. I have done an intro to SQL course three times now over the last 7 years, and then never used it again and every few years do a refresher. It has always been on my long-term goals to really learn SQL but never been a priority because it was not something I was responsible for. Now after a change in roles and a few changes in responsibilities, I manage a number of systems that run SQL in the back end and manage 9 different SQL servers. So it was time to knuckle down and get to it. I did this course as a quick and dirty intro to SQL to get me going again. It gave me the basics and even a better understanding of the history and importance of language in your queries. It was a great course. Mel provides files and with every lesson you lab and practice what he teaches either with him or on your own. The course is under 2 hours in length but is a great jumping off point. 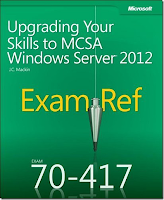 I really appreciated the course and what it has taught me, and now on to the MS SQL 2012 exams. This course will get you up and running with SQL and Mel presents in a great way; his style is very engaging and humorous. It is a great course for beginners or as a refresher if it has been a few years like in my case. Well done! 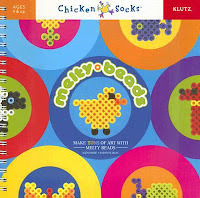 This craft book comes with it all - 16 different shapes, but also instructions so you learn how to make your own. Flow flowers to fish, fire trucks to felines. And a bunch of craft ideals for what you can use the art for once you have melted the beads. This book will be the jumping off point for hours and hours of fun for the whole family. Some courses you take because you need to. Some courses you take because you want to, and some if you are lucky fall into both categories. 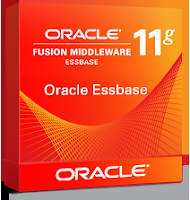 This was the third Oracle University course I have taken. And to be honest, the greatest strength was the instructor, Mr. Frank Laffey. He had the best classroom control I have seen for a virtual classroom course in over 20 years in university, 2 years in college and numerous courses between CBT Nuggets, Train Signal and other vendor training. Frank is one of the best presenters I have yet to encounter. And because of that this course was great. Now I need to be honest here. I am not a developer and have no desire to be. I am a systems administrator. But I like knowing the products I support and being able to support those who do use them. This course was a great intro and helped me understand what finance does, and why, much better. It also gave me a number of ideas to look at for improving our system performance. I have been supporting Oracle Hyperion, OBIEE, ODI, and this course gives me a much greater understanding on how the different pieces integrate together, and the management of data. This course was a great course and if you every get the chance to sit a class with Frank, do so; you will get even more out of it. 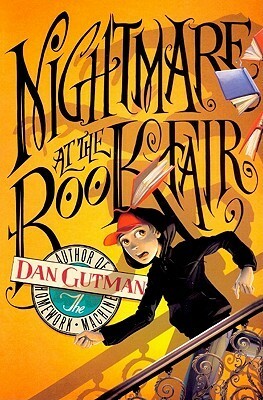 I have read a number of different books by Dan Gutman over the last few years. And I must say this one is my new favorite. It was an awesome read across genres and the humor was incredible. In many ways it reads like a jaunt across literary genres much like Robert A. Heinlien's Job: A Comedy of Justice. I loved this book and have recommended it to a number of people who all enjoyed it also. And along the way he has a couple of intermissions. Trip goes on a real trip and as he transitions from story to story he must figure something out in order to move on. This story was wonderfully entertaining. It was an awesome read that I know I will go back and visit again. If you are looking for something new or different, give it a try; pick up this book and go for a wild ride. This book does the trick. I worked through this book over a 2-week period and then went and passed the exam. The book really narrows down the features and objectives to just those covered by the upgrade exam. It is very well written and easy to work through. It highlights the key differences in Server 2012 and how to take advantage of them. Each chapter has the cores lesson, exam tip boxes, notes, and a review of objectives covered. There are also practice questions at the end of each chapter. The book is really well written and easily accessible. If you are running Server 2012 either physically or in a VM, you can work through everything along with the book and get good hands-on practice. J.C. Mackin writes in a very accessible style and it is one of my favorite of the MS Press books I have yet to work through. It is also the first time I believe you can do an upgrade from Desktop certification to server certification. 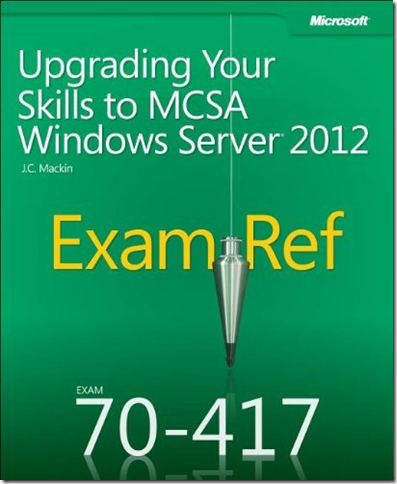 This book and a machine running Server 2012 are all you need to train and pass this exam. So go for it! Very few authors have grabbed my attention and focus from a spiritual perspective as Mark Batterson has. The last authors who captivated me to this extent were John Eldredge or Henri Nouwen. I have been reading everything by Batterson I could get my hands on. But to be honest, I was weary of reading this book. It has so much hype, and it is 'the book' to read in some Christian circles currently. But after reading Praying Circles Around Your Children and The Circle Maker Student Edition: dream big, pray hard, think long I finally circled back to read this one. 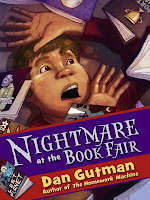 In under a week I read the book and the enhanced eBook edition with audio and video. I am currently reading through for the third time. "Bold prayers honor God, and God honors bold prayers. God isn't offended by your biggest dreams or boldest prayers. He is offended by anything less. If your prayers aren't impossible to you, they are insulting to God." "The greatest moments in life are the miraculous moments when human impotence and divine omnipotence intersect - and they intersect when we draw a circle around the impossible situations in our lives and invite God to intervene." "It is absolutely imperative at the outset that you come to terms with this simple yet life-changing truth: God is for you. If you don't believe that, then you'll pray small timid prayers; if you do believe it, then you'll pray big audacious prayers." "We pray out of our ignorance, but God answers out of His omniscience. We pray out of our impotence, but God answers out of His omnipotence. God has the ability to answer the prayers we should have prayed but lacked the knowledge or ability to even ask." So what will be your defining moments? Will you take the risk and pick up this book and learn something new about God? Will you allow scriptures to be opened up to you? Will you become a prayer warrior? This book has tools that could change your life, change the course of your life and through your prayers, generations to come! I personally have found that since starting to read Batterson's books a few months back, I pray far more often, far more regularly and get prompted by the Holy Spirit for praying specific things for specific people on a much more regular basis. I once read that 'reading books can be dangerous' - this is one of those books. I do not believe anyone can read this book with an open heart and ears to listen to the Spirit and not come away changed. Are you ready to begin the adventure?